A 3 light ceiling light in a polished chrome finish with a decorative dome shaped prismatic glass shade which fits flush to the ceiling. The light is also suitable for use on a dimmer switch providing the bulbs used are also dimmable. 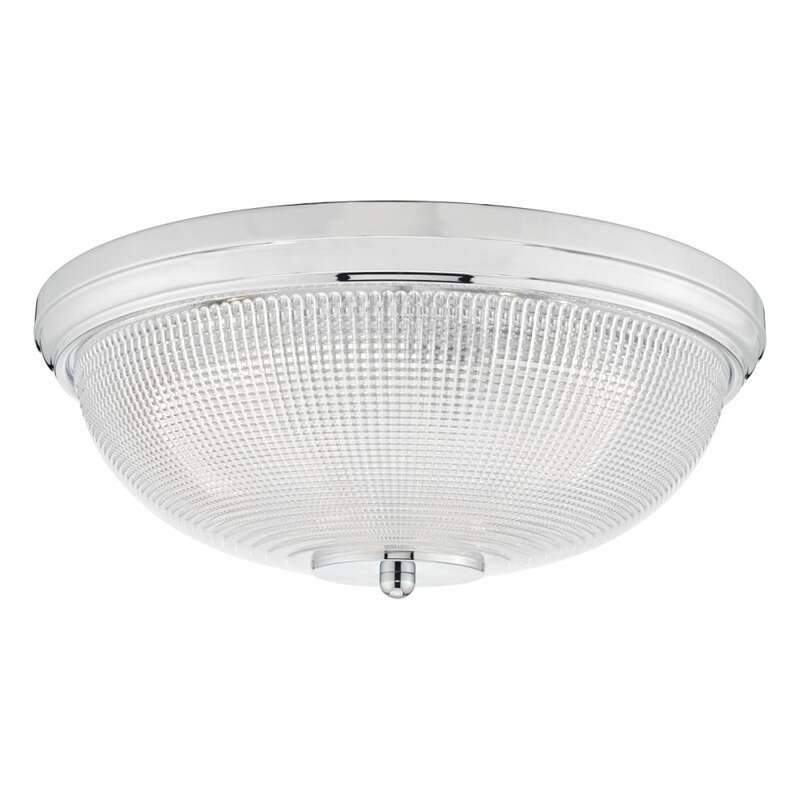 Great for lighting in modern classic settings and ideal for those with lower ceilings. Here at The Lighting Company we have a vast and ever growing range of lighting t suit every setting. To see more low ceiling lights click here: Low Ceiling Lights.